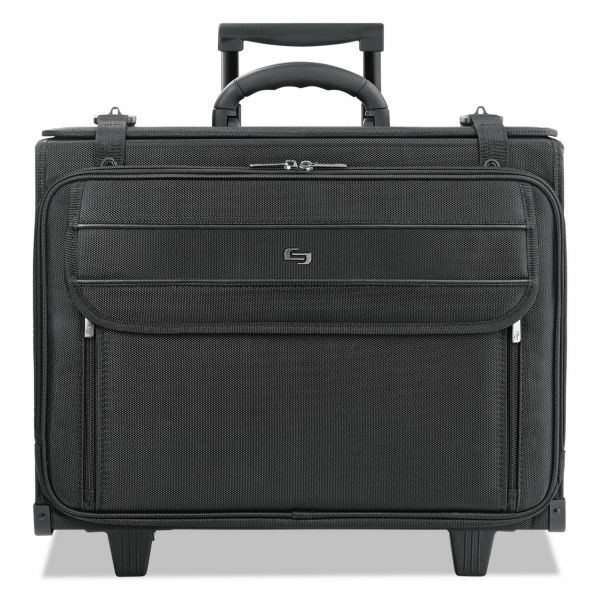 CheckFast™ removable padded computer sleeve holds most 16" screen laptops. 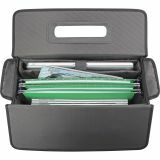 Hanging file folder frame removes with folders. Full-front zip down organizer and an accordion fan file. 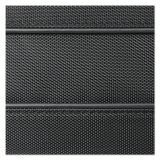 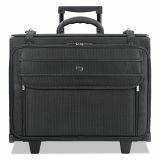 Solo Classic Rolling Catalog Case, 17.3", 18" x 7" x 14", Black - Ballistic Nylon Mobile Office computer case is as versatile as it is functional. 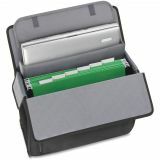 Removable hanging file folders make it easy to reach your important files. 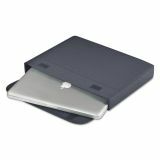 Removable computer sleeve holds computers with screens up to 15.4." 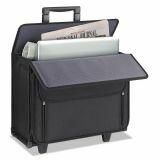 Full business organizer and fan file make it easy to be productive. 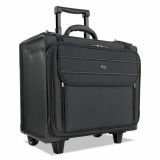 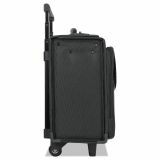 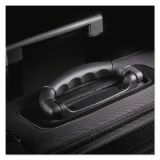 Mobile Office computer case has push button locking handle and stable wide wheels.